In addition to the iconic wrap dress, Diane von Furstenberg is famous for her signature prints that are often inspired by her love for art. If you love these fabulous prints but may not be bold enough to wear them, it doesn't mean you can't surround yourself with these artful designs. DVF's Home Collection, which includes tabletop, bedding and home accessories, brings fashion and art into your home. 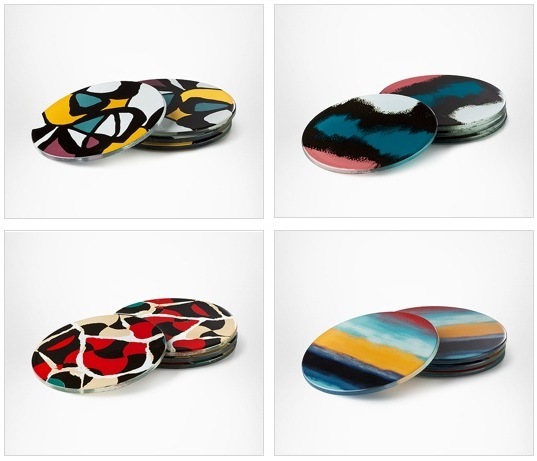 These colorful coasters ($25) are great accent pieces that add a touch of vibrance to any room. Explore DVF's Home Collection here.